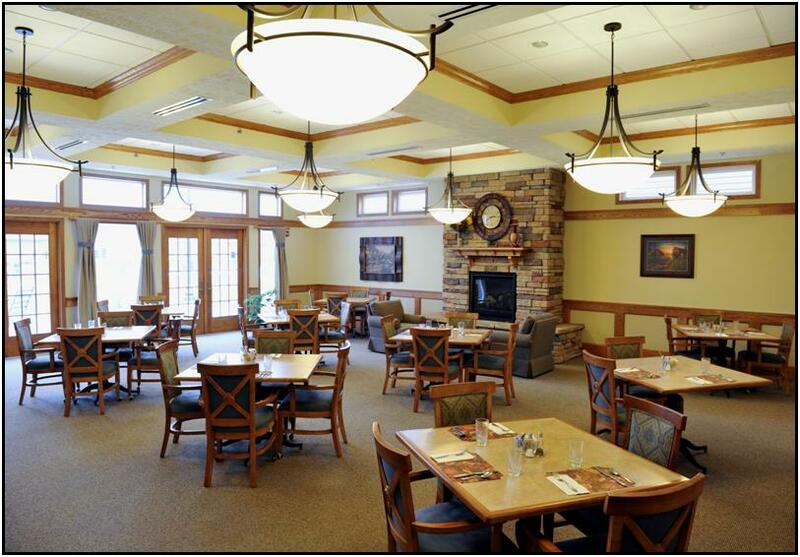 At Courtyard Terrace, residents enjoy an improved quality of life while maintaining their independence and individual style, right here in Southern Nebraska. Assisted living at Courtyard Terrace allows you to have all of the comforts of home, with a little extra help when you need it. Our 24-Hour pendant call system allows you to feel comfortable asking for assistance whenever you need it. You value your independence but everyone needs help now and then. Don’t spend time worrying! We can offer extra assistance for such things as bathing, dressing, medication administration, and other helpful services! We are always here to meet your needs. With Select Meals, you can enjoy your favorite foods, just choose from the daily menu options and enjoy dinner with friends in our spacious dining room. 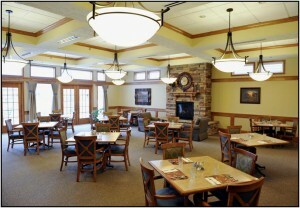 Enjoy fresh, healthy meals each day, in our bright, restaurant-style dining room. We also offer private dining for family gatherings such as your birthday or the holidays. 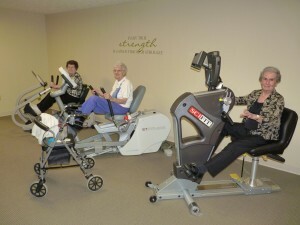 You can relax and enjoy our facility, just like it’s home. With daily activities, outings, flower beds for gardening, a library and media center, there’s something for everyone to enjoy. You can enjoy your favorite sweet treat in our Terrace Flavors Ice Cream Parlor with your new friends. 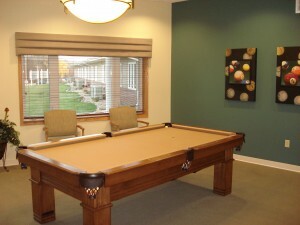 Enjoy a friendly game of billiards or sit on the front porch and talk with friends. Don’t worry about getting to a doctor’s appointment in the winter anymore! We offer transportation for local appointments, and even have a weekly trips downtown and a monthly shopping trip. If cleaning feels like a chore, leave it to us! Each week your personal housekeeper will clean your home, leaving you free to enjoy other things. If it’s daily activity you crave, there’s always something to participate in at Courtyard Terrace. On-site events abound, with card games, billiards, bingo and other games. Local events and group outings will fill up your social calendar. You will enjoy shopping trips, day outings, themed dinner parties and an array of other exciting, engaging opportunities. If personal enrichment and learning are important to you, a cozy library offers ample and varied reading opportunities to enrich the mind. Check out a favorite book and curl up on a chair in front of the fireplace. Don’t forget the activity room, where you will find every resource needed to fulfill your media needs, including a flat screen TV, movies, music and games. 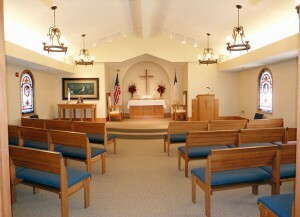 We offer weekly chapel services for all denominations and Bible study groups. At Courtyard Terrace, our priority is you — staying healthy, fit, and well. Knowing that regular physical activity enriches both the body and the mind, we are heartily committed to providing our residents every opportunity for wellness. State-of-the art exercise equipment, spa time twice a week, group exercise classes and even a customized fitness program are all provided to help you attain personal fitness goals, continued well-being, and vitality. To see more of what Courtyard Terrace has to offer, please see Our Amenities.